Recently I shared one of my best pieces of property investment advice with our Brisbane Property Networking Group. It’s not really advice though. At least, not the typical advice you’d find searching the web. It’s actually a habit. And this one habit is how I get better. It helped me succeed in many of my pursuits, and I believe it’s key for achieving success in property investing (or anything else in life for that matter). As I explain in the video – if there’s something you want to get good at, you need to train for it regularly and not just when you feel like it! 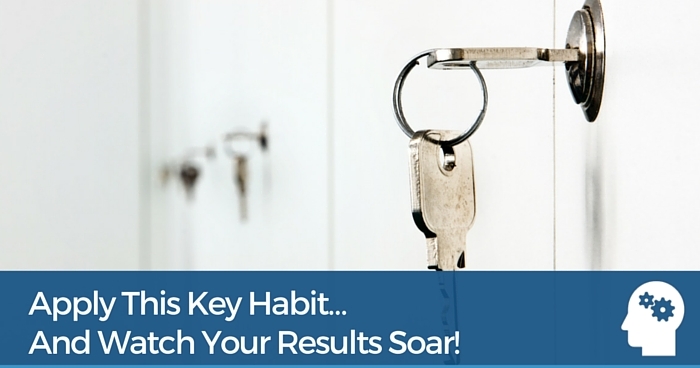 You need to form a habit to ensure you are consistently taking action to reaching a goal or intended outcome. One of my mentors, Nhan Nguyen always said that if you want the Gold Medal you need to do the work. I reckon we can take that quote a bit further and say you need to do the work consistently. How to succeed in the face of competition? Do you reckon there are other property investors out there trying to do the same thing you’re doing? You bet! Do you think they’re going after the same type of properties you’re interested in? Absolutely! So you need to do more than what the average investor is doing to be ahead of the pack. That means stepping up to the plate on a regular basis. Let’s say you have a goal to purchase a small lot subdivision project within the next 90 days with the expectation of making $50k profit in the following 90 days. OK, what’s some of the tasks you need to implement? If you’re serious about finding this property you need to do things consistently. Whether it’s preparing for a marathon, learning guitar or becoming a better spouse or parent, you need to set up a plan of action that has consistency. Awesome post Matt. Just what I needed to hear today, consistency is the key. Small steps to keep me heading forward. Loved the France back drop. Just brilliant!